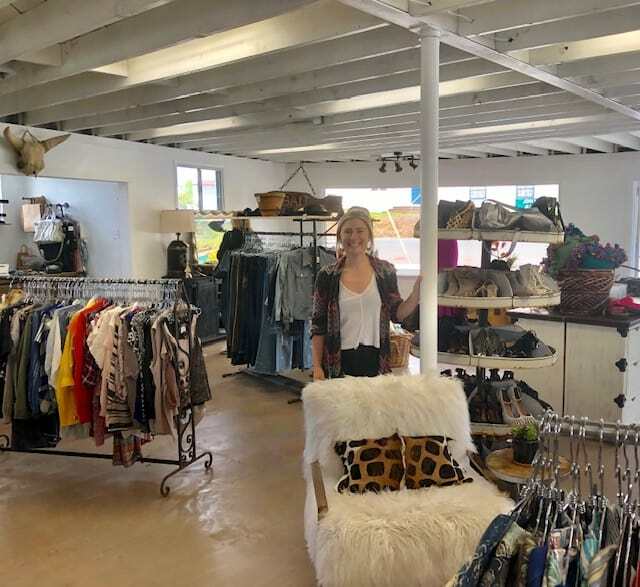 Riley Herington, along with her parents, opened Re-Find Off Main. 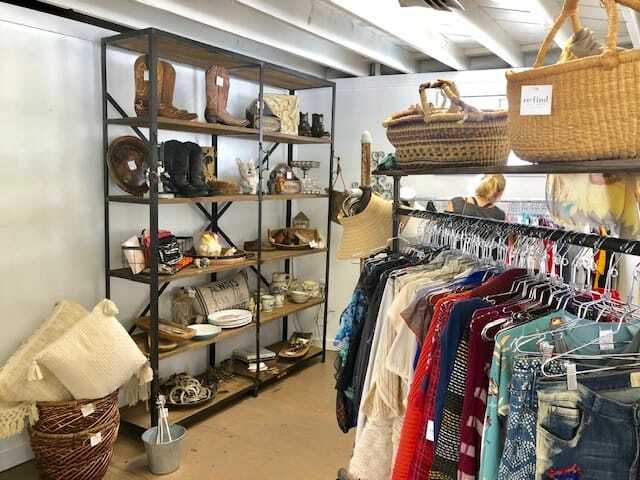 A lovely shop with almost anything you might think of to buy for yourself or a friend. 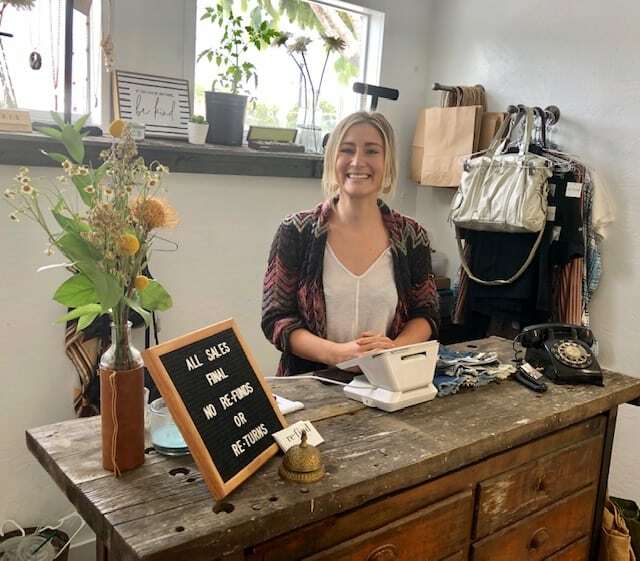 Riley and her parents rented the building on January 28, 2019, which formerly housed the North Coast Patrol Station on the corner of 146 Eucalyptus and Park Avenue in Historic Downtown Vista. Riley’s mom had a similar business in Georgia a few years ago. Riley graduated with her Masters Degree from Cal State Fullerton. “I want to OWN my own business and be a part of the community. 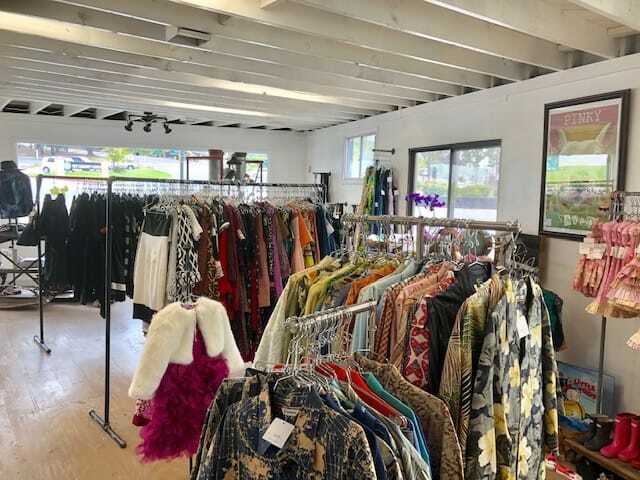 My Mom and I have been collecting clothing items and furniture throughout the years while shopping in Los Angeles and going down south to Texas and Tennessee. We came upon the location and the next day we signed the lease”, she said. They will not be doing consignment, but the back yard is being transformed. Eventually they will have a Bocce Ball court in the back, and firepits for events. They want to hold Wine and Paint Nights and enjoy Saturday College football. There is even an outside wall to use a projector to watch movies. Riley said her Dad likes to flip cars and will display them for the guys to see.